Some people enjoy playing fantasy baseball one season at a time, drafting a new roster every year. Others are fascinated with drafting a team and managing it year after year towards multiple championship trophies. The latter individuals are best suited to play in dynasty leagues. For rosters to be competitive annually, they have to possess players that are primed for longevity. To do that, sacrifices will need to be made at some point, and that starts at the draft. The draft: everyone loves it. “It’s the best part of the fantasy baseball season,” many people have stated. Before you get into your full player rankings and nominate/select the players that you love, make sure you have a strategy in mind and stay mostly dedicated to it. 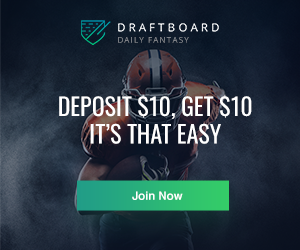 Without an awareness of your internal fantasy manager tendencies or even a basic strategy, you will be stuck in limbo trying to figure out where to go. Everyone wants to compete now, but most fantasy managers generally fall into one of three categories when starting a new dynasty league draft. They either want to win now, win now but pick up some young guys they like, or sacrifice immediate success for long-term dominance. Each category has its pros and cons, but one provides a better long-term approach to success than the other two. 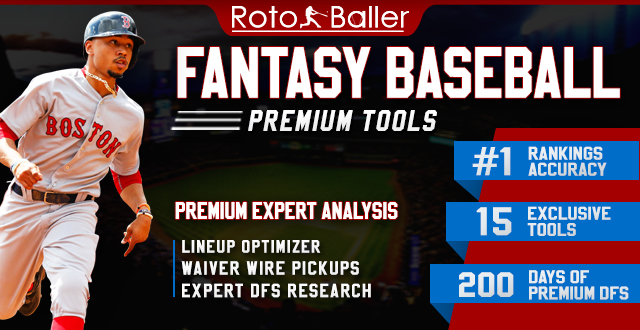 Using the recent RotoBaller Way Too Early Dynasty Draft, we will identify a couple of examples of each category. This drafter builds his team with nothing but youth. We are talking about players just reaching their prime and younger. It may seem like they are fascinated with all the young stars; however, they are building for the long haul. There are a few positives to this recommended strategy, aside from the obvious fact that you do not have to worry about getting older. The primary benefit is that you are collecting assets that some of the “Drifter” and “Old-Timer” managers will want when they realize they will not win this year. The biggest unsaid positive is that the cost to acquire increased value is quite minimal. While other managers are collecting backup pieces for their roster in the draft, you are collecting upper-tier prospects. However, do not draft every prospect in the minors. Draft the ones likely to get the most helium, which is mostly hitters. If you have a choice between a pitcher and a hitter, go with the hitter. There are a few reasons for this. To start, hitters can boost their stock tremendously in one season. If they have a letdown year the following season, there is just a little bit of skepticism. However, pitchers can have a great year but follow it up with a mediocre season, and 90% of the league won’t touch that player until he shows the skills again. Plus, it takes longer for the pitchers to develop into the studs you want them to be. During that time, there is always a possibility that an injury will plummet their value. Of course, not everything is going to be rosy with this strategy. The Young’un will need to sacrifice the first or second season (depending on your activity level) to develop the team that will lead to championships every year. It will take time and require you to be more active than most. But the result will be well worth it. JB, picking from the first spot, is the closest definition of a Young’un, finishing with an average age of 23. Through the first 10 rounds, JB drafted solid young players already in the majors like Ozzie Albies (third round), Rafael Devers (fourth), and Jack Flaherty (sixth). In round 11, he started his prospect collection by selecting Pete Alonso and finished with 11 prospects, five of which were pitchers, including Touki Toussaint (15th round), Mitch Keller (16th), Triston McKenzie (20th). While it isn’t preferable to have that many prospect arms compared to bats, every single one of the pitchers he selected are very close to the majors. This gives him plenty of marketable value. Troy built a roster with an average player age of 25. He only had nine prospects, but he did keep his team very young with selections of Eloy Jimenez (fourth round), David Dahl (sixth), and Forrest Whitley (eighth). 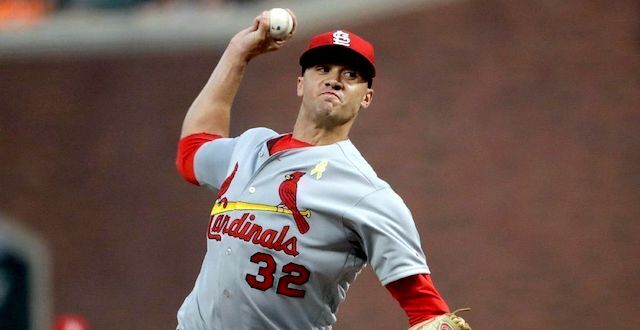 The one intriguing decision that the strategy wouldn’t support was the selection of 30-year-old Tommy Pham in round nine. It seems like a slight miscue with so many young studs still on the board. However, it could also have been strategic to get a power/speed asset that he could trade midseason. Afterward, he got back on track with plenty of young assets in the likes of Tim Anderson (10th round), Keston Hiura (12th), and Jo Adell (23rd rd). One cautionary note about this strategy. Without action, this drafter could fall into a false sense of eternal prospect love. Snap out of it! Prospects are assets to be used as anything else to improve your roster. After the draft, the next step is to have a plan to market your players to continue to build up the value of your roster. Timing is an essential ingredient when obtaining value. Also, you do not have to do that in one fell swoop. Some of the assets you receive in one trade can be flipped to someone else for something of more value than your original player. Here is a series of transactions that can get you towards something of value. You can trade one of your solid prospects to the Drifter for one of his solid starting pitchers who is just reaching 30 years of age. You don’t need this player, but you could certainly flip him to the Old-Timer who is going for the league’s first championship flag. In exchange, you might receive one of his young underperforming guys or an injured player lost for the season (Corey Seager in 2018), both of which are more valuable than the original prospect you drafted. Whenever the other managers come to the crossroads of needing important decisions/categories answered, the Young’un will be there. He is a purveyor of required items. A tradesman, if you will. As the title illustrates, the ultimate goal for this drafter is to build a team that can win in year one. This roster is comprised of plenty of proven players that will likely include many veterans. This owner is not distracted by the latest fad of prospects that are getting plenty of helium. The positives of this strategy are that you have a roster filled with proven players immediately. The first few years are your prime competitive opportunities to plant a championship flag in your front yard. The only trading will be to fill blank spaces and immediate production. There is no time for speculation picks. Unfortunately, once the old geezers run out of steam, you’ll have to transition to the bottom of the rankings and start your rebuild looking for the next young studs to use as a foundation, most of which have already been picked over by the Young’uns. When looking at the RotoBaller Dynasty Mock Draft, there is a clear individual that fall into this category - Andy. He has a roster built to risk it all and win now. Andy is all in. He demonstrated his determination with selections of Max Scherzer, Clayton Kershaw, Justin Verlander, and Joey Votto in the first 10 rounds. With an average player age of 29, it is no surprise that there are 14 players on the roster 30 years of age and older. There is a bit of a hiccup in this analysis in the middle rounds. Jesus Luzardo (14th round) was likely selected for his tremendous upside, and he should have a rotation spot to start the year. If you were to play a game of ‘One of these things is not like the other one,’ you would win if Keibert Ruiz (16th round) was your selection. It is possible he gets called up, but that is speculation. That is a word Old-Timers don’t like, unless we’re gold-mining, of course. Andy finished back on track by picking players like Nelson Cruz (15th round), Justin Turner (17th round), and Michael Brantley (19th round). Once the competitive wind is removed from the sails in a couple of years, it will be tough to rebuild around Christian Yelich and Manny Machado. The ultimate goal of this drafter is to compete now, but at the same time, they want to dabble in the fountain of youth. Actually, maybe they want all the young players, but deep down they want to compete now as well. Caught in between, this drafter will forever perform in the middle class if a serious course correction isn’t initiated. Yep, downright Purgatory. Can these drafters be saved? Yes. Say it with me now. Yes, they can. A little louder now: YES, THEY CAN! The trick is timely recognition. I am never a fan of giving up on a season, but if halfway through the year you find yourself at the bottom, you need to start making moves before other managers have run the options dry. This strategy, unfortunately, puts you at a point where you’ll have to make an important decision about your roster in the first year of existence if you are unable to compete for the trophy. One option is to double-down, selling off the young talent you have for assets to help with a run at the title the following year. The other option is to undergo an overhaul by trading your aging talent to the Old-Timer for any younger options they may possess (Hmmm, Keibert Ruiz comes to mind). The problem with both of these choices is that it delays your ultimate goal. When you double-down, you’ll have one more shot at the trophy the following year. However, win or lose, your team will have to undergo an overhaul that might take a few years to recover because your players will be hanging out with the likes of Steven Tyler and Mick Jagger (OLD). On the other hand, if you initiate the overhaul, you’ve wasted a year, and it might take you a few years to acquire the talent to be competitive again as others are ahead of you in the process. Both of these choices could be resolved at the draft table by committing to a strategy as either a Young’un or an Old-Timer. Understand that there are various degrees of Drifters, which might also be called the gray area. There are quite a few of the RotoBaller Dynasty Mock Draft participants that fall in this category. Some might lean more Old-Timey with some young flavor while others are predominantly Young’uns with a little old-fashioned vibe. Anthony would be considered the former, while yours truly would fall into the latter category. Aside from the elite players in the first three rounds, Anthony appeared to fully embrace the win-now mentality with selections of Dee Gordon, Chris Archer, Aroldis Chapman, Jesus Aguilar, and A.J. Pollock amongst the first twelve picks. However, he then started taking a few speculative picks in Ian Happ (13th round), Brent Honeywell (15th), and A.J. Puk (18th). Yes, these are very good dynasty choices and were likely selected for their potential upside but they deviate from the layout of the roster. 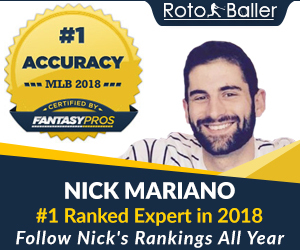 Anthony returned to a more win-now strategy by taking advantage of aging late-round talent in DJ LeMahieu (20th round), Robinson Cano (23rd), and Mike Moustakas (25th). This writer’s draft went according to the Young’un plan with selections of Vlad Guerrero Jr. (second round), Gary Sanchez (fourth), Nomar Mazara (fifth), and Yoan Moncada (sixth). There must have been a blackout, a fall, and a severe bump to the noggin in round 11. That is the only thing that can justify three straight picks on players whose average age is 33 in Zach Greinke, Blake Treinen, and David Price. Admittedly, it was a matter of competitiveness. Everyone wants to have their cake and eat it too. Everyone wants to win. This writer is no exception. It is very tough to sacrifice the first season. However, just because you’re going younger the first season doesn’t mean that you are necessarily sacrificing the year. 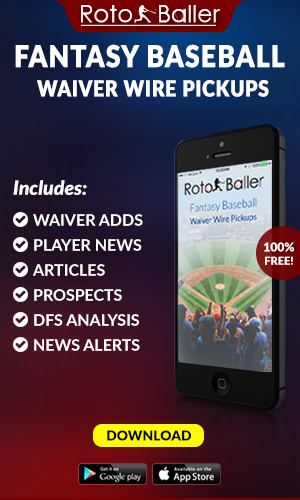 Stay active on the waiver wire, trade, and remain competitive. The Young’un is the best route to go when starting a dynasty league. Start your roster with youthful exuberance and own the market on all the prospect studs that other teams will want. Choose more bats than arms. 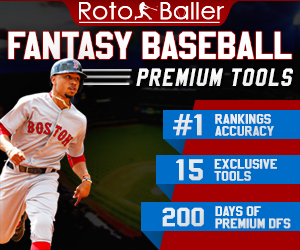 Then you can start trading and improving the value of your team by acquiring players with top-10 round value for the price of prospects chosen in the 15th to 25th round. This will allow you to contend for the title for years with an actual dynasty squad. If somehow I haven’t convinced you to do the right thing and start your league as a Young’un, you need to be all-in as an Old-Timer. Do not try to keep a foot in both waters; it will ultimately lead to a premature rebuild. It’s too early to think about rebuilding a dynasty team shortly after a draft. Just know that as an Old-Timer, once your players' competitive years expire, so will your team. Many individuals will contend that dynasty leagues don’t last very long, so competing in the first two years is ideal. While that is always a possibility, it shouldn’t be the sole deciding factor on how you manage your team. If this does occur in one of your leagues, take it as a sign that the league wasn’t worth spending another year in. There are many dynasty leagues out there. **The opinions of the author are his alone and do not attempt to represent what each manager was thinking while they were drafting their team. **The theme song of this article is Bone Thugs-N-Harmony - Crossroads. That's right. Regardless of where you are in your draft strategy, you will encounter some crossroads. I’ll see you when you get there.